Microsoft is the most wanted application and popularly used by everyone right from college to office days. It comes as a power packed bundle full of useful features to carry out different functions. The most popularly used Microsoft programs and applications are Microsoft Word, Excel, and PowerPoint. Learn about few tips and tricks for managing Microsoft technology better. Everyone faces big or small problems when using the Microsoft Word. By using these simple tricks as solutions you can become an expert at using this program. Also, try these useful tips to increase the work productivity. To find the previous location of the cursor use shift +F5 shortcut key to jump to the last used location of the cursor. It comes in handy when you have closed and reopened the documents. Use of filler texts is very easy by using word document shortcut. Whenever you need to generate filler text for a building website just simply type “=lorem(p,l)” into the document and replace the p and l with a number of paragraphs and lines you want. Word will generate a filler text for you. To insert a hyperlink all you need to do is highlight the text for which you are building the hyperlink and hit Ctrl+K. Paste it in your Url and hit enter. Once you get a hang of this way you will never go back to previously used methods. Searching the web with Lookup option is the smart and easy way to do research on a word document. Simply highlight the word and right-click for the option Lookup and hit it to find yourself getting a list of options from the web in reference to the highlighted word. It works best for grammar too. Do you want to select your text vertically instead of horizontally? Then hold the Alt button and drag the cursor to select text in any shape or from the middle of words. It is easy to delete unwanted portions at a time. To get rid of the unwanted formatting in the document simply hold Ctrl+Space buttons for the highlighted text to clear all the formatting. Save time by taking advantage of pre-formatted templates to do invoices, budgets and meet project timelines. Freezing rows and columns will help you to see the headings and titles when you have a very long spreadsheet. It can be done by navigating to the view tab and selecting freeze panes on the ribbon. On the drop-down box of freeze pane simply select freeze first row or first column as per the need. Utilize the fill handle in excel when you need to populate multiple cells in a spreadsheet. For instance, fill the cells with 1 in one row and 2 in another and select both to drag down till you need to fill the column. Same can be done with dates, weekdays and months too. One another use of fill handle is to populate the entire column with same data. It can be done by selecting the cell and double-clicking the fill handle. If you want to swap the headings of rows and columns in a sheet try using the transpose function. For this to happen first select the column containing the headings and click copy. Later select the row and column from where the headings have to start. Then select paste special and also select the checkbox at the bottom right to transpose. One can access the inbuilt calculator in the spreadsheet than the add-on which everyone uses to perform quick calculations. Under the file icon, you can choose options and select customize ribbon or quick access toolbar depending on where you are adding the calculator. From the drop box choose commands and scroll down till you hit calculator. Then simply add the calculator by creating a custom group. 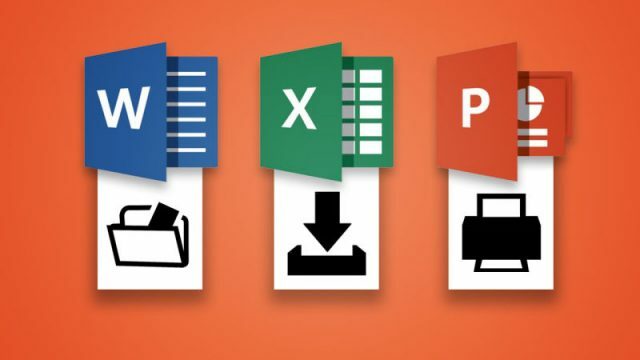 Some keyboard shortcuts in excel are F4 to repeat the last command, Ctrl+W to close spreadsheet, Ctrl+O to open the spreadsheet, Ctrl+shift+Colon to enter current time, Ctrl+shift+SemiColon to enter the current date and shift+F9 to calculate the active worksheet. PowerPoint presentations may not be on the popular list now, but it was a big deal a few years ago and a person’s presentation was the criteria to make or break a career. The users can actually customize the slide size by opening the file and selecting the page setup. In that, adjust the height and width for your preference. Customize your own templates by selecting the themes tab and clicking the edit master and slide master, respectively. Then edit the template to your liking and click on the close master to make the changes to all the current and future slides. Sometimes you want to align the pictures in slides in an order, and then you have to select all the required images with the shift key and on the top find the option align which is also named as distributing and choose whatever alignment you like. Customize made animations can be fun if you get a hang of it. Start by going to the animations tab and select custom path in the animation gallery box. On selecting the custom path to draw own animations and see how they unravel. The exciting option for PowerPoint presentation is to recover the unsaved files by using the recover unsaved presentations button in the file option. I'm currently working as Content Manager with Web World Experts. I have a great passion for digital marketing and I help small and medium-sized businesses improve their online presence and grow their revenue by formulating effective digital marketing strategies for them. Apart from Digital Marketing, I have the keen interest in Web Development, Web Design, Graphic Design, Joomla Development, Web Application Development technology, etc.